Part of PHP’s success has been because it’s hard to find a web server that can’t serven PHP.However, modern PHP tools have stricter requirements than those of the past. The best way to develop for Laravel is to ensure a consistent local and remote server environment for your code, and thankfully, the Laravel ecosystem has a few tools for this. better-equipped writers online, and just focus on Unix/Linux/OS X developers. can’t serve PHP. However, modern PHP tools have stricter requirements than those of the past. All of the following is possible with Windows systems, but many pages of instructions and caveats need to be made for Windows systems. As such, I’ll leave those caveats to better-equipped writers online, and just focus on Unix/Linux/OS X developers. Even with access to the command line and with the ability to install PHP and MySQL and other tools locally, you’ll likely still run into version mismatches at some point or another, and it’s highly recommended to do all of your local development on virtual machines using a tool like Vagrant. bring in an external dependencies. or Virtual Box and makes it easy to spin up virtual machines with predefined configurations. This means you can develop web sites locally without having to even run a web server on your local machine, and you can ensure your server configuration is in close sync with your production environment. Laravel Homestead is another tool that sits on top of Vagrant and provides a pre-configured virtual machine image that is perfectly set-up for Laravel development,and mirrors the most common VPS server that many Laravel sites run on. What tools does Homestead offer? First, you’ll need to download and install either VirtualBox or VMWare. VirtualBox is most common because it’s free.Next, download and install Vagrant. vagrant box add laravel/homestead from the Terminal to download the box. Homestead directory like in Example 2-2. Example 2-2. Initializing Homestead bash ~/Homestead/init.sh This will place Homestead’s primary configuration file, Homestead.yaml, in a new ~/.homestead directory. provider (likely virtualbox), point it to your public SSH key (likely ~/.ssh/id_rsa.pub), map folders and sites to their local machine equivalents, and provision database. Mapping folders in Homestead allows you to edit files on your local machine and have those files show up in your Vagrant box so they can be served. For example, if you have a ~/Sites directory where you put all of your code, you would map the folders in Homestead like in Example 2-3. /home/vagrant/Sites that will mirror your computer’s directory at ~/Sites. Now, let’s set up our first example web site. Let’s say our live site is going to be projectName.com. Let’s map our local development folder to projectName.app, so we have a separate URL to visit for local development. directory /home/vagrant/Sites/projectName/public, which is the public folder within our Laravel install. We’ll learn more about that later. projectName.app, it should look at your computer’s local IP Address to resolve it. Creating databases in Homestead Just like you can define a site in Homestead.yaml, you can also define a database.Databases are a lot simpler, because you’re only telling the provisioner to create a database with that name, nothing else. how to spin the box up and down. Since Homestead is based on Vagrant commands, you’ll just use basic Vagrant commands for most Homestead actions. 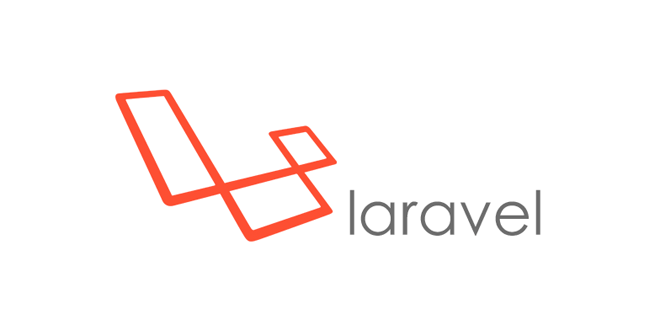 There are two ways to create a new Laravel project, but both are run from the command line. The first is to globally install the Laravel installer tool (using Composer);the second is to use Composer’s create-project feature. is simple. Just run laravel new ProjectName from your command line. This will create a new subdirectory of your current directory named projectName and install a bare Laravel project in it. Composer also offers a feature called create-project for creating new projects witha particular skeleton. To use this tool to create a new Laravel project, issue the command shown in Example 2-10.
named projectName that contains a skeleton Laravel install, ready for you to develop. that contains a skeleton Laravel install, ready for you to develop. Let’s walk through them one-by-one to get familiar. .env and .env.example are the files that dictate the environment variables, variables which are expected to be different in each environment and are therefore not committed to version control. .env.exampleis a template that each environment should duplicate to create its own .env file, which is Git ignored. artisan is the file that allows you to run Artisan commands from the command line. .gitignore and .gitattributes are Git configuration files. composer.json is user-editable and composer.lock is not. These files share some basic information about this project and also define its PHP dependencies. gulpfile.js is the (optional) configuration file for Elixir and gulp. This is for managing your frontend assets. package.json is like composer.json but for frontend assets. phpspec.yml and phpunit.xml are configuration files for testing tools. readme.md is a Markdown file giving a basic introduction to Laravel. server.php is a backup server that tries to allow less-capable servers to still preview the Laravel application. config is where all configuration files live. database is where database migrations and seeds live. index.php, which is the front controller that kicks off the bootstrapping process and routes all requests appropriately. It’s also where any public-facing files like images, stylesheets, scripts, or downloads go. storage is where caches, logs, and compiled system files live. tests is where unit and integration tests live. expected to run as a part of your deploy process on the remote server. You’re now up and running with a bare Laravel install.Run git init, commit the bare files, and you’re ready to start coding.